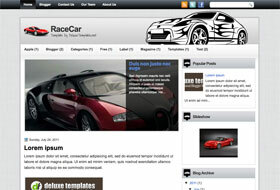 Description RaceCar its a game related Blogger template with a nice car style in header. This is a recommended template for game blogs. Features: 2 columns with a right sidebars, widgets ready, social icons, featured posts, search box.